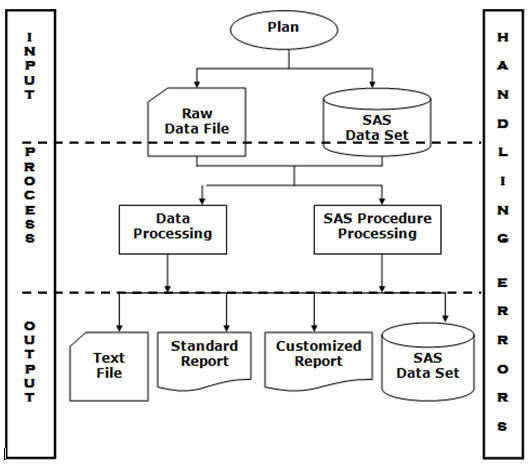 SAS®, or Statistical Analysis System, is a powerful programming language. 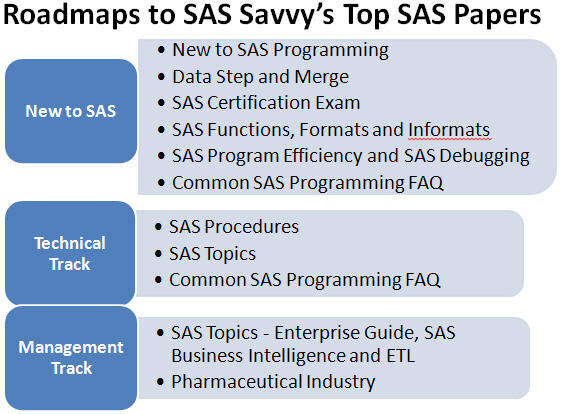 This page shows how to best utilize SAS® Savvy's collection of links to top SAS® papers and resources. 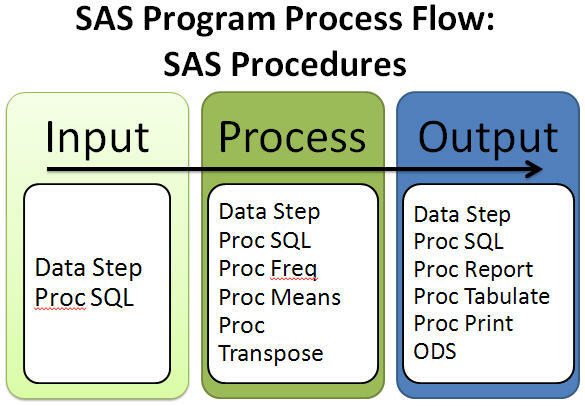 For those who are new to SAS® Programming, this page shows the road map to select papers based on SAS® procedures, SAS® topics or summary sheets based on your SAS® questions. Don't have a SAS® license? No problem. 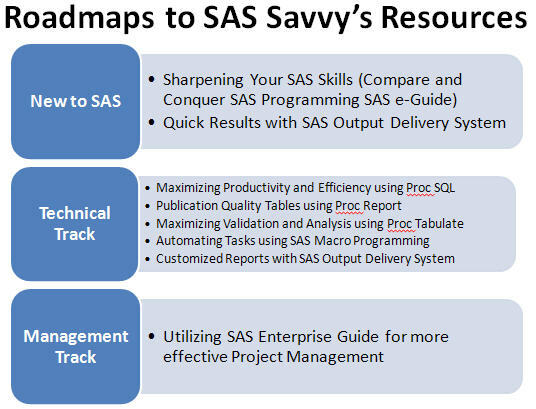 See how SAS On-Demand can help you learn SAS®! How exactly are SAS e-Guides unique?